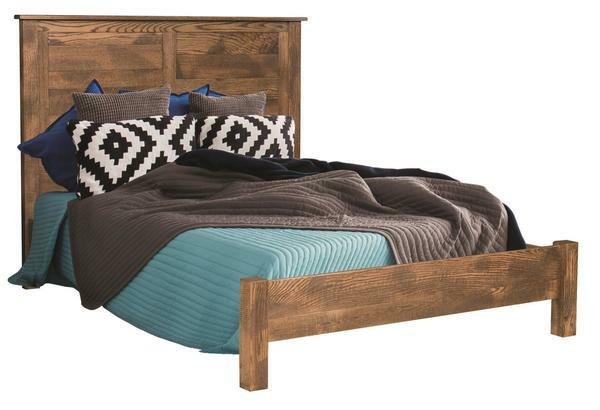 This charming Lawerance Panel Bed will be a statement in any bedroom. The rustic yet contemporary style gives an old world charm to the piece. Customize your panel bed by choosing your wood and finish to match your current bedroom furniture. Looking to add to your bedroom collection please take a look at the Lawerance Chest of Drawers, Lawerance 2-Drawer Nightstand, Lawerance 1-Drawer Nightstand, and Lawerance 9-Drawer Dresser with Optional Mirror. Have questions or need help placing your order, please contact one of Amish Furniture Specialists at 866-272-6773. Headboard Height: 47" or 54"